It's the last Friday afternoon of a rather long and tedious month. The toppings on my Salticrax are thinly spread and unimaginative. Mweh - let's just leave the toppings. Who cares? As long as there's still some wine and a good book to read. 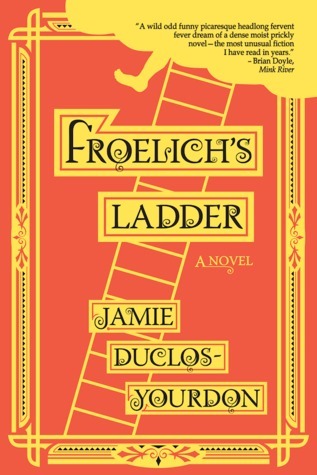 I've highlighted Froelich's Ladder last week on New Beginnings and for a change, I actually did start reading it immediately. This is such a fun read! It reads like a folk tale/fairy tale with the most amazing characters and characterization of things you would never think of characterizing - like clouds.
" What was the worst thing that could happen to him - he might be expelled and die a little sooner? Planting both of his hands on the cloud's downy surface, he cautiously supported his weight. "Farewell my hungry friend," he said, while crawling forth. "I'm glad not to have been your meal. In time, I hope you can flourish. But should you die, at least the weather will improve just a little. " I'll hopefully be finished with this one by tonight and will review tomorrow or Sunday. My very last salticrax of the month need to have an extravagant topping. Remember to join Rose City Reader for Book Beginnings. Share the first sentence or so of the book you are reading (or just take the one you grabbed for Friday 56) and share it. You are welcome to also post your initial thoughts on the sentence and your first impressions of the book. Remember to also post your link to Rose City Reader and to visit the other City Readers! If you use another book as the one used for Friday 56, remember to include the title and author. The man in the wrinkled white suit stuttered across the square like a wounded finch, the soles of his shoes strapped to the uppers with black electrician's tape, his zipper frozen at quartermast. He wore dark wire-rimmed glasses. His name was Desmond Farren. I've started this book on Tuesday afternoon and immediately knew that I will have to take time to read this one. No knit one skip one reading here, for this book, you need to put time aside. Book Blurb: The Farren family has been a plague upon Philadelphia's most dangerous neighbourhood, the Devil's Pocket, for generations. There, row after row of tumbledown houses hide dark secrets - none darker than Billy, youngest of the Farrens. 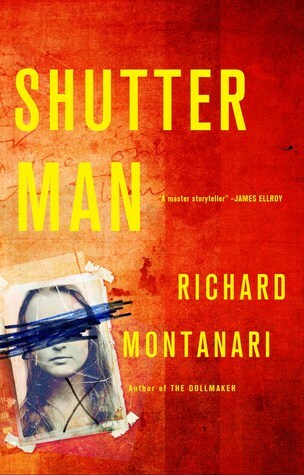 Afflicted by a syndrome that means he can't recognise faces, Billy must use photographs to identify his family - and his victims. And when their lives have bled away, he takes a final, gruesome picture for his wall. But what is the meaning of the horrific ritual Billy enacts with every murder? And is there any connection to a childhood event Detective Kevin Byrne has buried so well it's hidden even from his former partner Jessica Balzano? I will also be joining the Book Blogger Hop hosted by Ramblings of a coffee addicted writer. Every week they will pop a question that you need to answer. 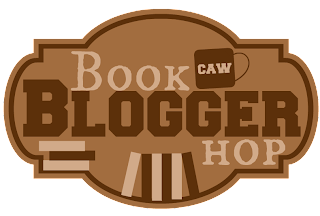 Post your answer to your blog, enter your post to the linky provided, make yourself a cup of coffee and go visit the other blogs in the list. Today's questions: Do you give books as gifts? I think I might be confused here. Do you mean that there are other gifts to present to people besides books? My mother taught me that you must give someone a gift that you would really like to have, that way the gift will come from the heart. And I always want books. Unless it's my husband presenting - then it must come in small boxes with pretty wrappings. So yes, I will say my number one gift-to-give, is a book. Unless it's to a friend or family member who doesn't like to read. There's only about one or two of those dysfunctional creatures in my habitat. I normally present them with some sort of food or liquor. If you don't want to stuff your brain/heart/whole-being, stuff your mouth.